It's a well known fact that William Shakespeare's writing has been inspiring novelists, poets and songwriters for hundreds of years. Famously, musicals such as West Side Story and Kiss Me Kate repurpose Shakespeare's plays into musical form, whilst many composers have adapted the bard of Stratford-upon-Avon's plays into operas too. In their latest concert, Serenade London sought to combine a number different songs inspired by Shakespeare's writing into one big musical celebration. Under the musical direction of Jordan Clarke, four performers acted as the concert's love struck vocalists, weaving their way through the ups and downs of life; through love, labour and loss. Meanwhile, Shakespeare himself appeared regularly to link each song together. Luke Lane's lascivious William Shakespeare was a highlight, who entertained the audience with Shakespearian monologues as he observed the lovers, hoping to find inspiration for his next creation. The storyline linking each song together seemed a little underused at times but for the most part it serviced the concert well enough, and Lane did an excellent job of bringing the text to life. He also showcased his vocals and comedic abilities at the beginning of act 2, performing Hard To Be The Bard from Something Rotten, a more recent addition to the ever growing group of musicals inspired by Shakespeare. The always gorgeous songs of Bernstein's West Side Story marked a few of the concert's highest points. Lawrence Smith and Charlie-Jade Jones' touching and low-key rendition of Tonight was utterly sumptuous, as was Smith's take on Maria, performed with a warmth and youthful bounciness which utterly charmed. Charlotte Vaughan was also endlessly entertaining throughout, effortlessly tackling the vocal gymnastics of Je Veux Vivre, a joyful aria from Gounod’s opera Roméo et Juliette. Meanwhile Ifan Gwilym-Jones' found the ideal balance of humour and yearning in his rendition of Where Is The Life That Late I Led from Kiss Me Kate. 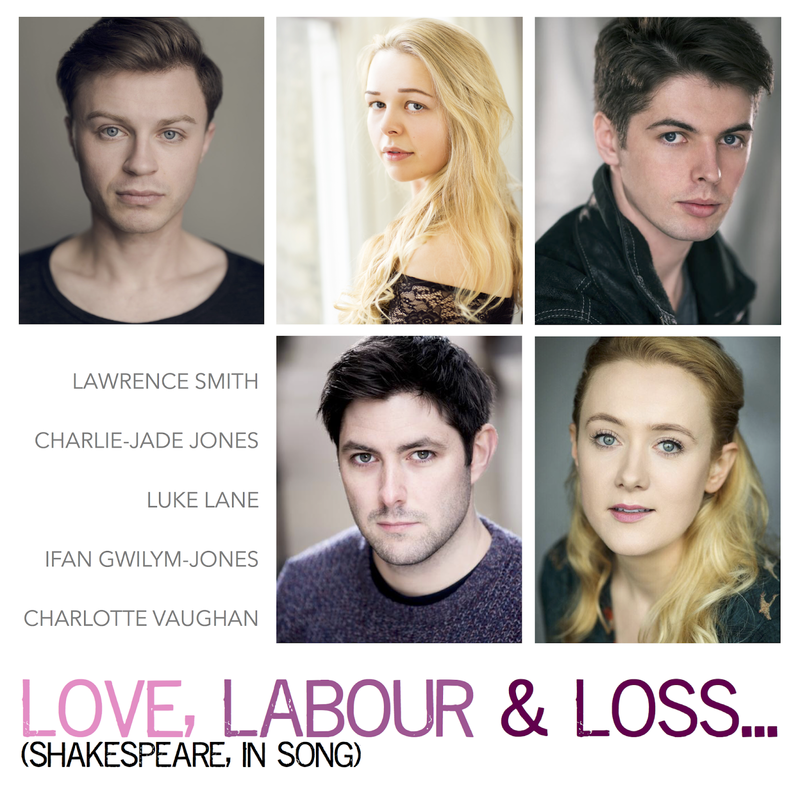 Celebrating Shakespeare and the multitude of creative works he inspired, Love, Labour and Loss was a thoroughly entertaining evening, filled with a selection of lesser known songs alongside many glorious crowd pleasing classics.